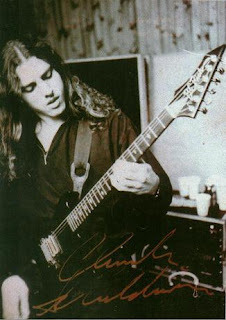 Charles Michael "Chuck" Schuldiner (May 13, 1967 – December 13, 2001) was an American singer, songwriter, guitarist and musical genre innovator. Schuldiner was the singer, songwriter, rhythm and lead guitarist of the band Death, which he founded in 1983, initially under the name Mantas. He is often referred to as "The Father of Death Metal", and his obituary in the January 5, 2002 issue of UK's Kerrang! magazine stated that "Chuck Schuldiner was one of the most significant figures in the history of metal." Schuldiner himself was modest about his part in the history of death metal, noting 'I don’t think I should take the credits for this death metal stuff. 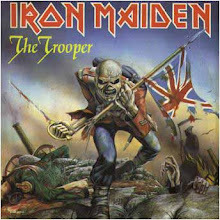 I’m just a guy from a band, and I think Death is a metal band'."